SCOTT J. LINN, JD has been the owner of the Law Office of Scott J. Linn, LLC since 1984. Mr. Linn received his undergraduate degree from the University of Illinois at Urbana-Champaign. He received his law degree from Saint Louis University School of Law. Mr. Linn is a past and present member of various organizations, including the Illinois State Bar Association, where he is a member of the Real Estate and State and Local Taxation Sections, the International Association of Assessing Officers and the Women’s Council of Realtors, North Shore Chapter. He has also served on the boards of directors for the Decalogue Society of Lawyers, the Anti-Defamation League Chicago Executive Committee and the Association of Condominium, Townhouse & Homeowners Associations (ACTHA). He served as both the Vice-Chairman and Education Committee chairman of ACTHA. Mr. Linn has specialized in representing commercial, industrial, residential and multifamily property owners in the filing of real estate tax appeals throughout the Chicago Metropolitan Area. He has also represented numerous clients involving: (1) the sale, purchase and leasing of residential and commercial properties; (2) the operation and functioning of condominium and homeowners association boards of directors; and (3) zoning and easement agreement matters. He has represented clients throughout the Chicago Metropolitan Area, including Cook, Lake, Du Page, Kane and McHenry counties. Before entering private law practice Mr. Linn was an Assistant Illinois Attorney General. 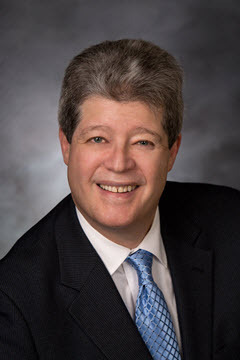 He has litigated several appeals in the Illinois Appellate Court and has won over 80% of those appeals, including two precedent setting cases. Mr. Linn has been a frequent lecturer and seminar panelist on various real estate law topics. Among the organizations and groups he has spoken before are the Institute of Real Estate Management (IREM), the North Suburban Bar Association, the Real Estate Institute, the Association of Condominium, Townhouse & Homeowners Associations (ACTHA), the Community Associations Institute (CAI), Marcum Accountants and Advisors and various Coldwell Banker Residential Brokerage offices located in the Northern suburbs of Chicago. He also appeared as a guest on the Channel 32 public affairs television show, Newstalk, where he discussed condominium law issues. In addition, he has been interviewed and quoted by both the Chicago Tribune and the Chicago Sun-Times concerning various issues pertaining to real estate law. Mr. Linn is admitted to practice before the State of Illinois bar and the U.S. District Court for the Northern District of Illinois. Sharon Benjamin, Legal Assistant, has been with the office since 2011 and works as a legal assistant and client relations specialist. Sharon is a former real estate agent and manufacturers representative with an extensive knowledge of real estate and client services issues. She is involved in several aspects of real estate tax research and appeal preparation. Patti Jocson, Legal Assistant, has been with the office since 2010 and works as a legal assistant and head of tax appeal research. Patti has worked in the financial services industry and as a real estate agent. Patti has extensive experience pertaining to real estate tax appeal research.